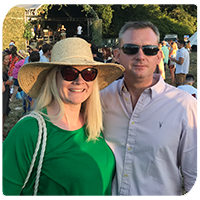 Caroline and James have owned The George since September 2013. During the past five years they have been through flooding, heavy snow, long hot summers and everything in between. When they bought The George they took on all nine existing staff. Now, including returning students, they have 32 members of staff. The business is going from strength to strength. Having invested in refurbishment to the outside area in 2016, this year will see the addition of heated patio umbrellas to extend the outside eating season so that people can enjoy alfresco dining for as long as possible. Who runs the George? Girls! 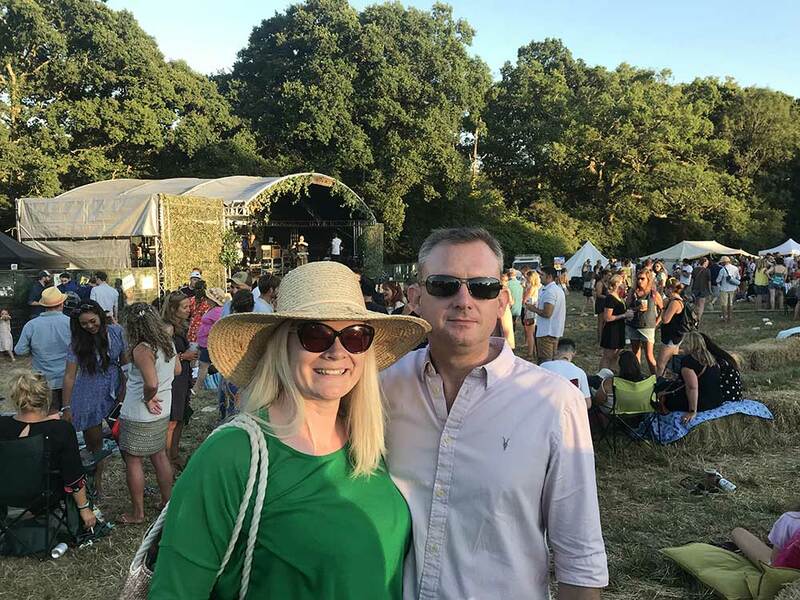 In September 2018 Caroline and James celebrated five years in charge of The George. 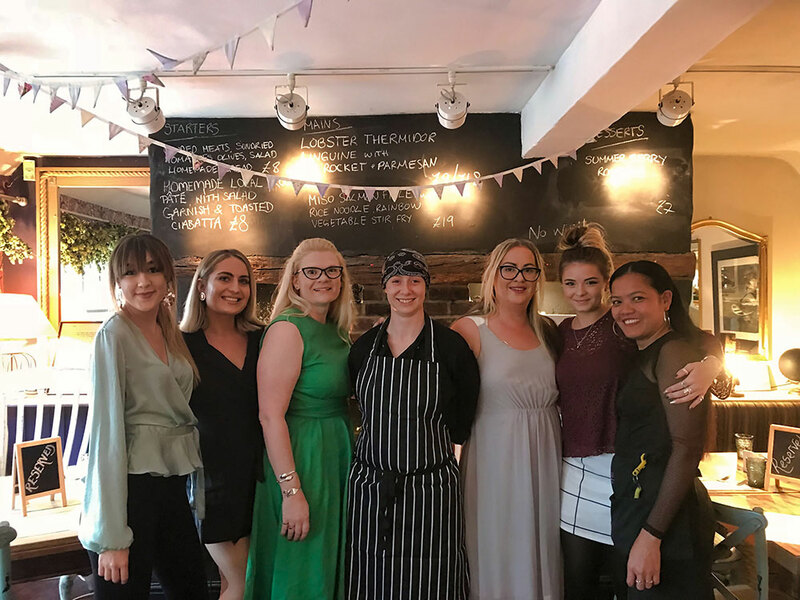 Here is Caroline with the rest of the team: Managers - Roo and Charmaine, Head Chef Marie and Supervisors Anna, Amy and Tee.